Congrats to WindyCindy!!! 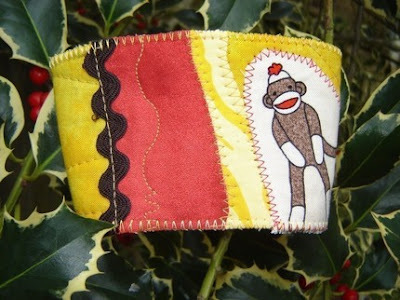 She is the winner of the awesome "Banana Breath" Coffee Cuff from Aly the Red- Bliss Monkey Studio on ETSY! Don't forget to support her ETSY Store. She is a wonderful business owner! I am very excited about winning this wonderful handmade prize. Thanks to your and Aly!